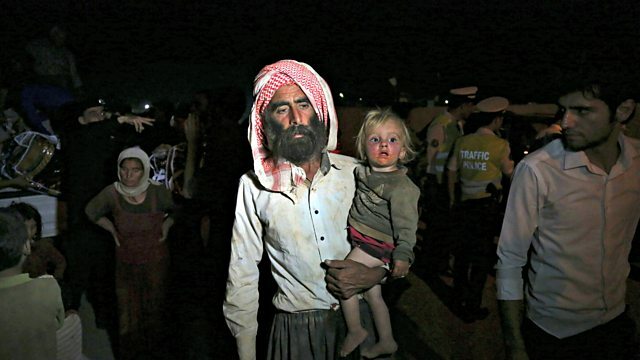 How IS militants are forcing the Yazidis out of their ancient lands in northern Iraq. In recent months, the Yazidis have been propelled into the international spotlight as entire villages have emptied of their residents in the wake of the ruthless advance of IS militants. Tens of thousands of Yazidis are now living rough, either trapped by Islamic State forces in the largely barren Sinjar Mountain range or in refugee camps along the Syrian border. Thousands more have been killed and there are wide and credible reports that Islamic State fighters are sexually trafficking kidnapped Yazidi women and girls. So what future is there for this complex religious community which blends Zoroastrianism and Mesopotamian rituals with Christian, Jewish and Sufi influences? Yazidis believe they are directly descended from Adam and that their ancient lands were the original Eden. In Germany, Anna McNamee meets leading members of what has traditionally been a very insular community to find out whether their faith has been diluted by living so far from their homeland and how, with the situation in Syria and northern Iraq continuing to deteriorate, it has affected their relationship with their German-Muslim neighbours. She hears how the faith of this ancient people is so intertwined with the land they have been so ruthlessly driven from and how their unique faith is being kept alive in their exile from eden.